The gall bladder is a small pear-shaped organ found in the abdominal cavity. In adult humans, it measures 8 cm in length and 4 cm in diameter when fully distended. It is the organ mostly associated with the formation of stones. In some patients, the formation of gall stones warrant a surgical procedure known as cholecystectomy. In this procedure, the surgeon removes the gall bladder. The whole operation can last for few hours and the prognosis is good. Here are the things you must understand about the organ. The gall bladder lies near the liver. It has three portions: the fundus, body and the neck. The neck of the organ tapers to form the biliary tree. It connects with the liver via the hepatic duct. Once stimulated, it pours its secretion in the duodenum of the small intestine through the common bile duct. If you examine a portion of the gall bladder, you will see structures clearly. Simple columnar epithelial tissue lines the surface of the organ. The walls are about two cm thick with three visible coats, an internal mucous and muscular coat, the middle connective tissue layer, and the outermost serous membrane. All over the tissue slides, you can see a network of capillaries to supply the cells inside. Special stains like the carmine or picro-carmine solutions will make all the structures more visible. 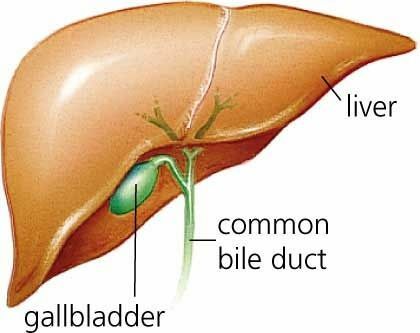 The main function of the gall bladder is to store the bile secreted from the liver. The hepatocytes synthesize the liquid and bring it to the gallbladder for temporary storage. While in the organ, the bile undergoes concentration until it is ready to be secreted in the small intestine. During a fatty meal, the secretion increases to emulsify the fats and neutralize the acids of the partially-digested food. The bile is a dark green fluid acting as surfactants in the fats. Because of the high cholesterol content, stone formation is very common in the gall bladder.